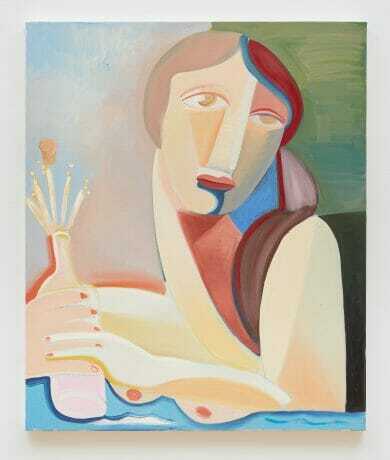 Danielle Orchard, Sad Bather, 2019, oil on canvas, 36 x 24 in. Danielle Orchard, Shower Beer, 2019, oil, pumice and marble on canvas, 56 x 50 in. 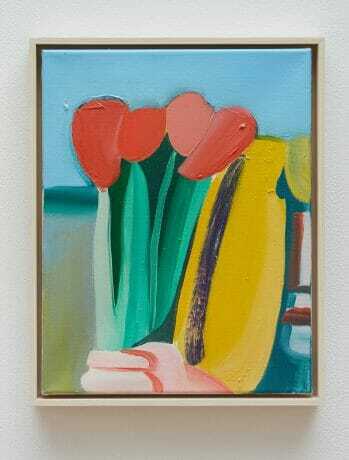 Danielle Orchard, Bust with Tulips, 2019, oil, pumice and marble on canvas, 34 x 32 in. 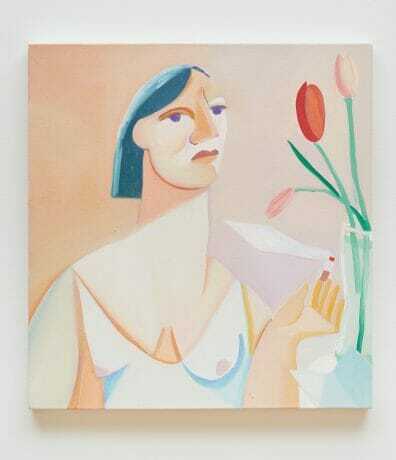 Danielle Orchard, Woman with Lilacs, 2019, oil, pumice and marble on canvas, 18 x 24 in. Danielle Orchard, Cork, 2019, oil on canvas, 36 x 30 in. Danielle Orchard, V, 2019, oil on linen, 24 x 20 in. 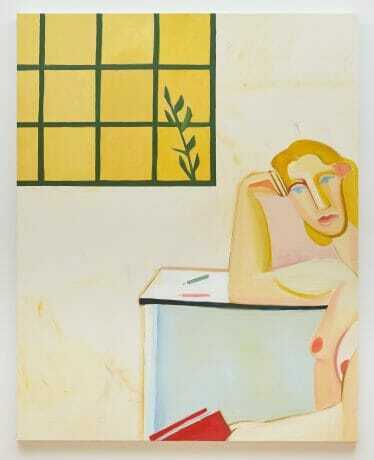 Danielle Orchard, Interrupted Reading, 2019, oil on canvas, 60 x 48 in. 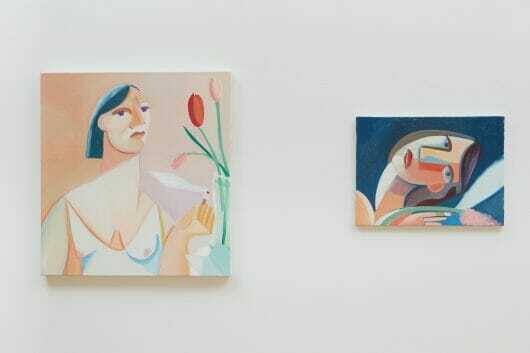 Danielle Orchard, Two Bathers, 2019, oil on linen, 24 x 18 in. 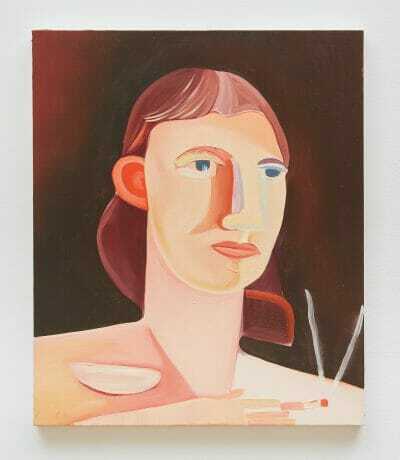 Danielle Orchard, Ponytail, 2019, oil on linen, 20 x 16 in. Danielle Orchard, Beach Scene, 2019, oil on canvas, 11 x 14 in. 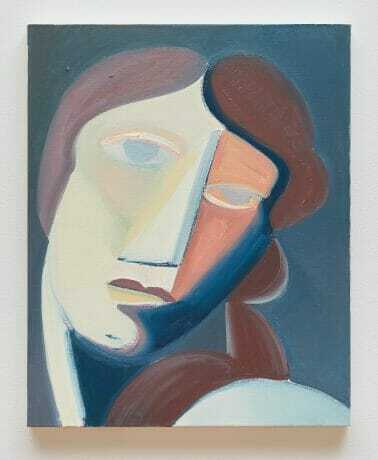 Danielle Orchard, Vase Face, 2019, oil on linen, 18 x 14 in. 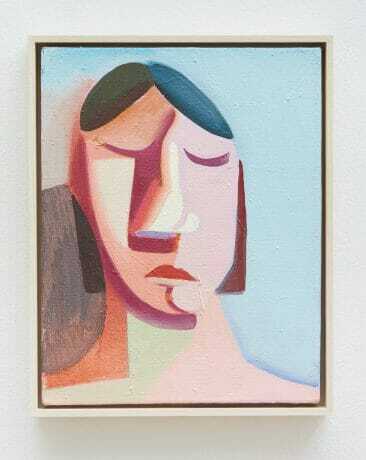 Danielle Orchard, Pink Head, 2019, oil on canvas, 14 x 11 in. Danielle Orchard, Woman with Moon, 2019, oil on canvas, 14 x 11 in. Danielle Orchard, Purple Leaves, 2018, oil on linen, 9 x 12 in. 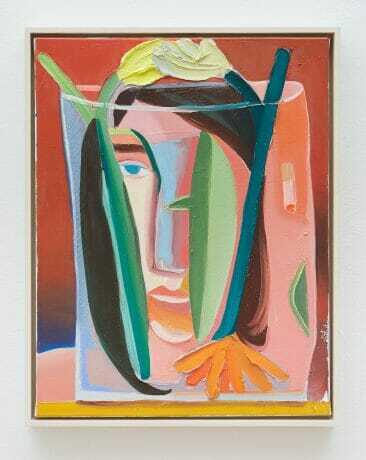 Danielle Orchard, Face with Tulips, 2019, oil on canvas, 14 x 11 in. 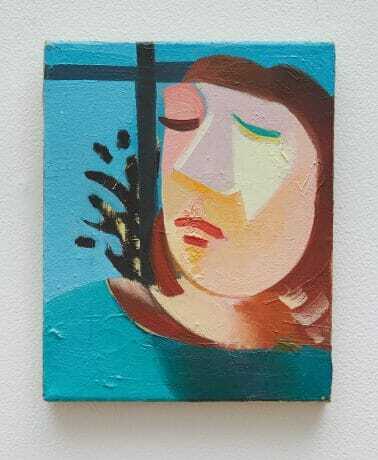 Danielle Orchard, Blue Head with Window, 2019, oil on linen, 10 x 8 in. 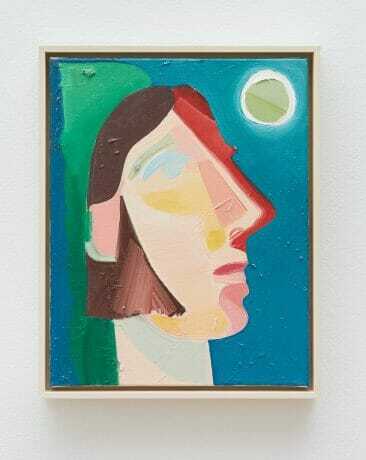 ANDREW RAFACZ is pleased to announce Head of a Woman, a solo exhibition of new paintings by Danielle Orchard in Galleries One and Two. 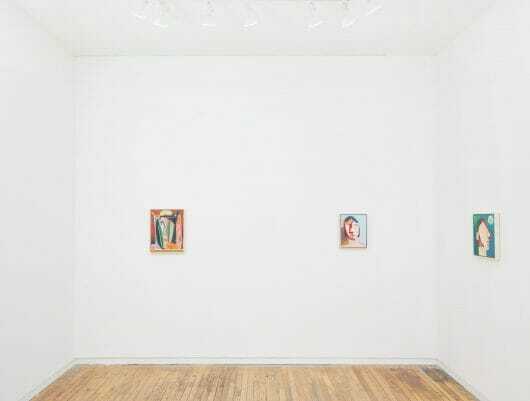 Chicago, IL, March 16, 2019– ANDREW RAFACZ continues 2019 with Head of a Woman, a solo presentation of paintings by Danielle Orchard. The exhibition continues through Saturday, April 27, 2019. Working from personal memory, art historical references, and an evolving fantasy version of ordinary life in which the motivations and interior worlds of her characters are kept secret, Danielle Orchard captures the familiar in settings that are anything but – poetic, off-kilter and suggestive of a deeper narrative. 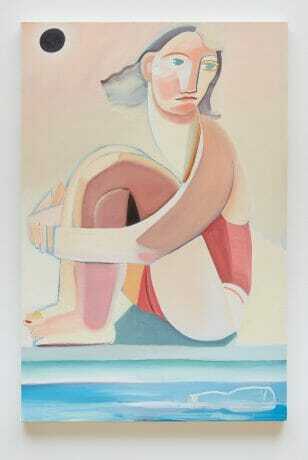 Her paintings depict scenes of female leisure – figures recline on beaches, rest in parks, and soak in bathtubs. 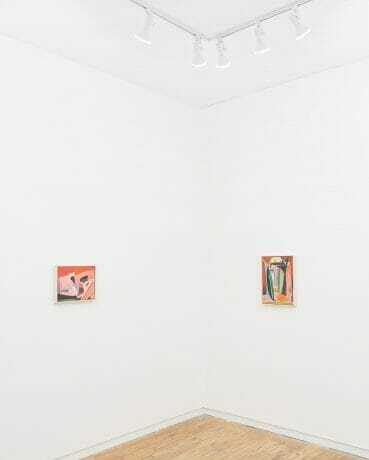 These tableaux depart from their typically undemanding depictions and move toward a contemporary, concealed anxiety. Every woman is distracted and influenced by a sense of being watched and ubiquitously presented. By doing this, Orchard shifts a generic portrayal of universally familiar experiences toward one that feels specific and ineffable, heightening the role that drama and performance play in our everyday emotional lives. 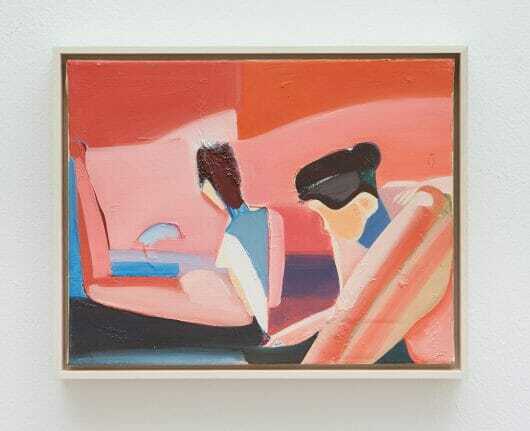 Areas of flat color, drawn lines, and material improvisation help dictate the narrative and the formal outcome of her paintings. 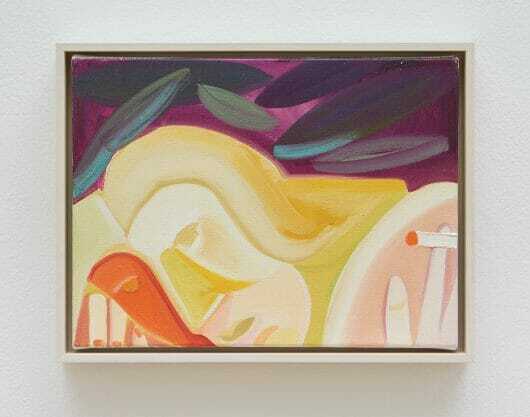 The impossible spatial and temporal planes and fragmentation that define Analytical Cubism continue to influence Orchard’s work, but the exchange between her own physical memory of inhabiting a female body and memories of the painted female form provides an additional, unique facet. 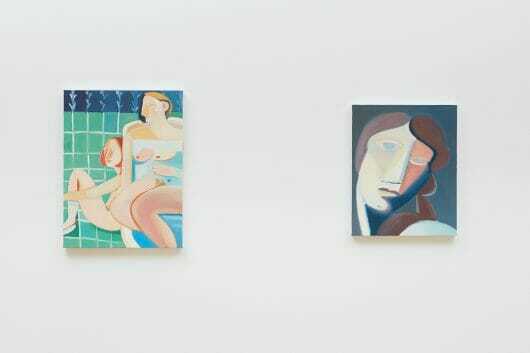 These paintings are about the artist’s own body and the sensation of inhabiting it, but they are also very much about the fraught history of the painted female body in 20th century Western Art. DANIELLE ORCHARD (American, b. 1985) lives and works in Brooklyn, NY. She received her BFA from Indiana University (Bloomington, IN) in 2009, and her MFA from Hunter College (New York, NY) in 2013. Recent solo exhibitions include V1 Gallery (Copenhagen, DK), Jack Hanley Gallery (New York, NY), and Journal Gallery (Brooklyn, NY). Group exhibitions include Jack Hanley Gallery (New York, NY), Geoffrey Young Gallery (Great Barrington, MA), V1 Gallery (Copenhagen, DK), D.C. Moore Gallery (New York, NY), Monya Rowe Gallery (St. Augustine, FL), Taymour Grahne (new York NY), and Mulherin (New York, NY). 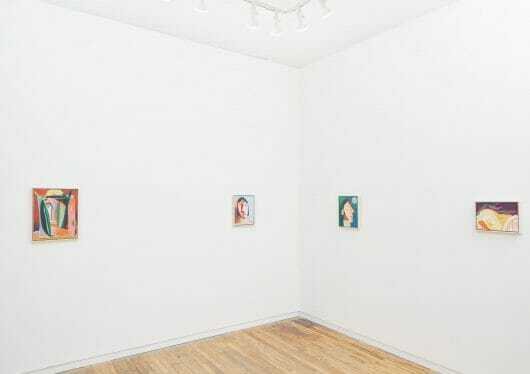 This is her first exhibition with the gallery.